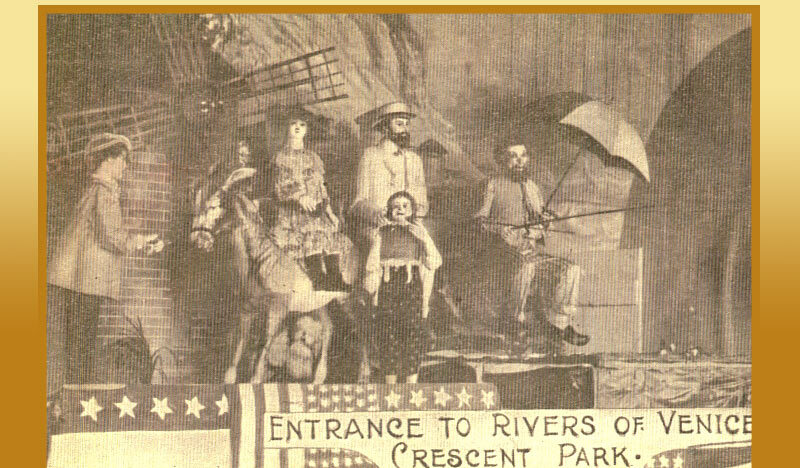 Crescent Park’s first dark attraction was an Old Mill attraction named Rivers of Venice, installed by then park owner Charles I.D. Looff, Jr. in the 1920s. 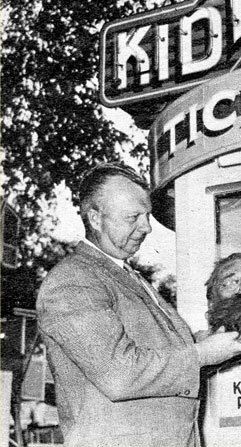 Looff, Jr. was the son of famed carousel builder/carver Charles I.D. Looff who had built carousels at Crescent Park in 1886 and 1895. Young Charles had worked for his father and was a great horse carver in his own right, extending his creative talents to build other rides at the park including a small roller coaster, the Flying Toboggan, across the midway from his father’s 1895 carousel. Looff’s Rivers of Venice was located halfway down the midway. Photographic documentation points to the loading platform themed to resemble Venice, Italy but the interior of the ride hosted scenes of world history including the Lewis and Clark Expedition. 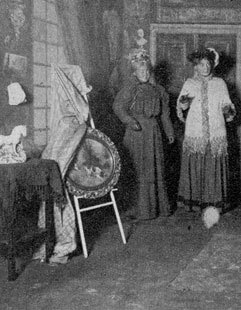 Dioramas of historic events were typically found in Old Mills of the early 1900s. The Rivers of Venice loading area was very elaborate for its time, sporting a large Italian family serenading riders as they boarded the boats. 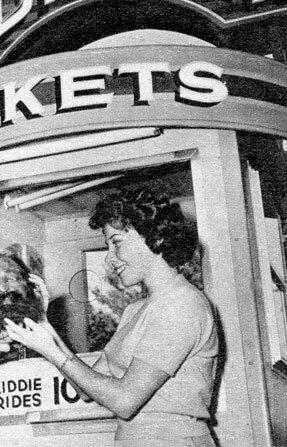 Most, if not all of the heads of the ride’s figures were made of wax. 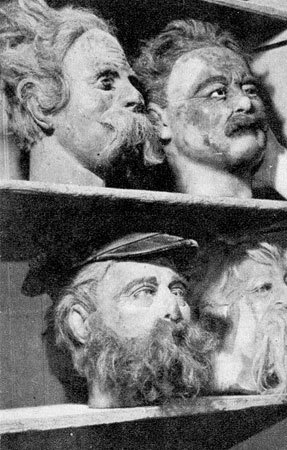 Although the ride was razed in the early to mid-1930s, the wax heads were carefully stored in the park. Hidden treasures from the Rivers of Venice archived by former park owner Arthur Simmons, decades after the ride closed. 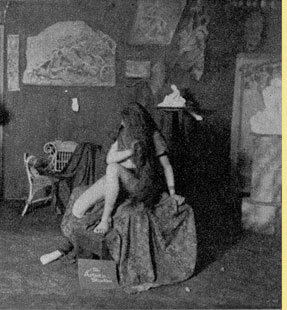 Left: "The Artist's Studio" scene, in which a pair of Victorian women are scandalized by the sight of the artist's model posing unclothed. 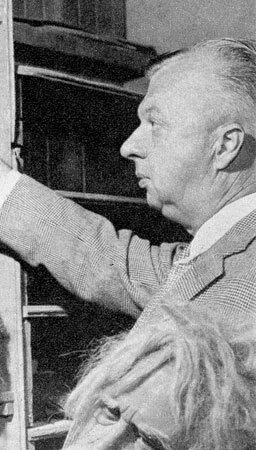 Right: Park owner Arthur Simmons appraises his collection of wax heads that were preserved from the long-departed Rivers Of Venice. Below: Simmons exhibits one of the "Venice" heads for the approval of park employee Beverly Thompson. On an amusing note, some old-timers, who adopted the name Tunnel of Love for the Rivers of Venice, could never shake that moniker for a dark ride. In 1935, the Pretzel dark ride was installed near the former site of Rivers of Venice and despite the large “Pretzel” sign on top of the façade and Pretzel logos adorning the façade and the rolling stock, the ride was still the Tunnel of Love to many park-goers, right up to the 1950s!